From Nate, proof that wherever you work could be a zillion times lamer. Old Woman Who Lived in a Shoe, eat your heart out. 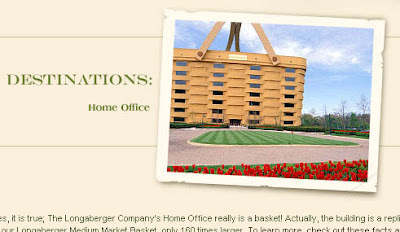 And yes, the Longaberger Company does, in fact, make baskets. The weirdest part is that i saw it while watching a college football game.